The conspiracies surrounding secret societies like the Illuminati are all over the internet–and now born again former Ghanaian hiplife artiste-Lord Kenya has revealed in an interview that he knows 5 top Ghanaian artists who are part of the US-based “evil” society. 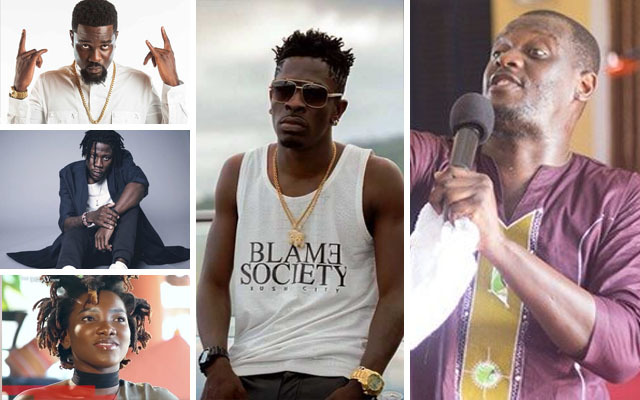 Considering the little we know about the Illuminati and the sort of people alleged to be members, it’s a little off track to suggest any Ghanaian musician is a member–as these musicians do not have the financial and political influence. Evangelist Lord Kenya revealed that at the peak of his rap career, he was approached by someone who tried to convince him to join. However, he refused to join. “Sometime in my career, a respectable person in society contacted me to join. But I refused to yield to his demands. Some have sold their souls to the devil that is the truth….. if I have no record at all, I know at least about 5 of such musicians in the country”, he said.